puzzle adventures in one app! Download The Awesome Collection Now! 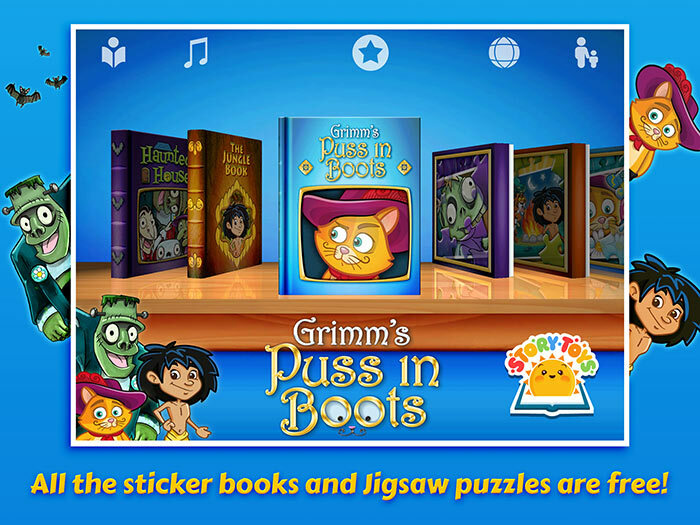 The Awesome Collection presents three of StoryToys’ most exciting puzzle adventures in one app: Haunted House, The Jungle Book and Grimm’s Puss in Boots. 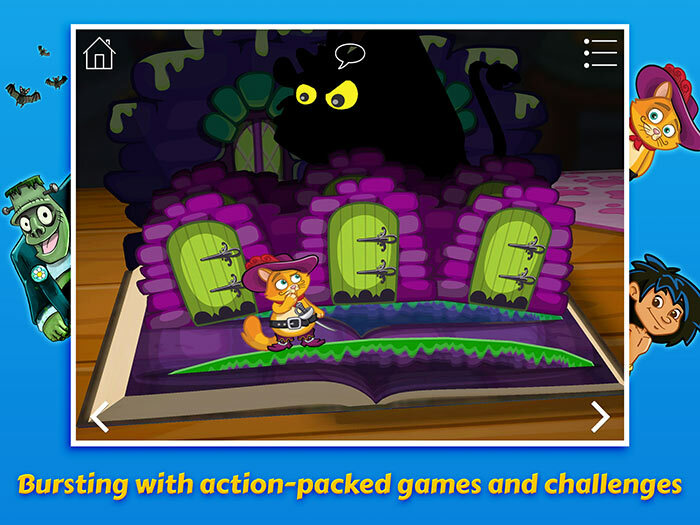 Each magical 3D pop-up book is bursting with action-packed games and challenges: fill Puss’ bag with treasure, search deep into the jungle to find baby Mowgli, take a ride on the ghost train, and much, much more. Plus ALL the extra Sticker Books and Jigsaw Puzzles for each story are included absolutely free. NO In-App Purchases, NO Ads, and over 50% cost saving on price of individual apps and add-ons!!! 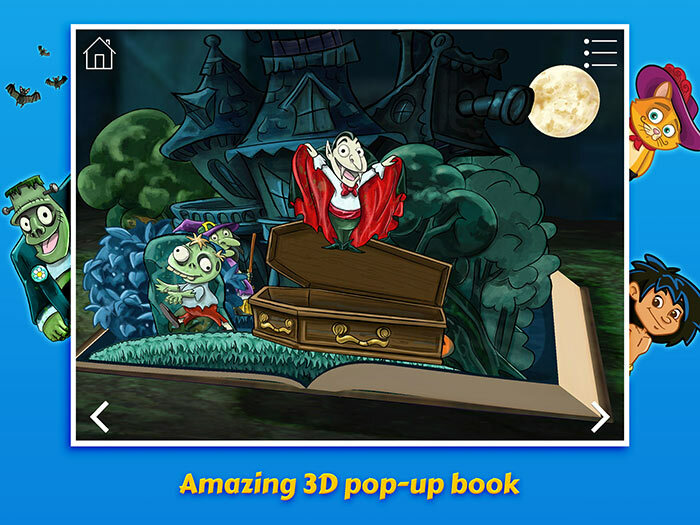 Haunted House is a spooky activity book packed full of ghoulish games and awesomely eerie activities featuring all your favourite spooky characters, including Dracula, Zombie, Mummy, Ghosts, Frankenstein and Jack O’Lantern. In The Jungle Book, a young boy learns how to survive in the jungle with help from his friends Baloo the Bear and Bagheera the panther. 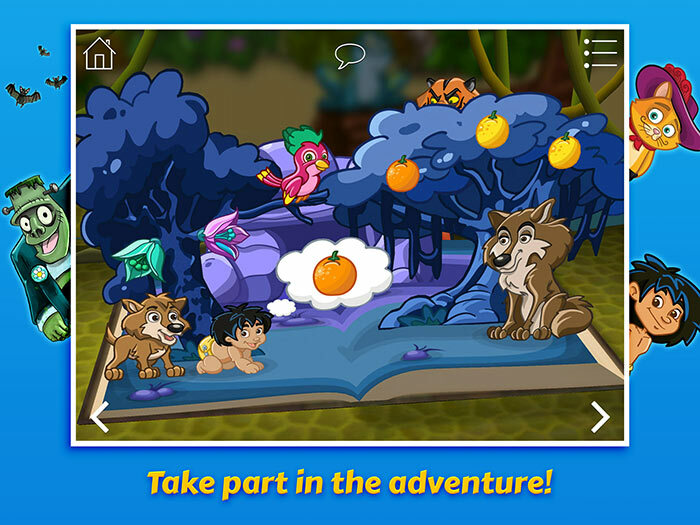 Have fun feeding Baloo, pulling thorns from a wolf’s feet, and leaping over obstacles in a thrilling chase through the forest! In our re-telling of the classic tale of Puss in Boots, readers enter a magical world, help a wily cat make his master’s fortune. Outwit a monstrous ogre, explore a spooky castle, and avoid monsters as you row upstream.